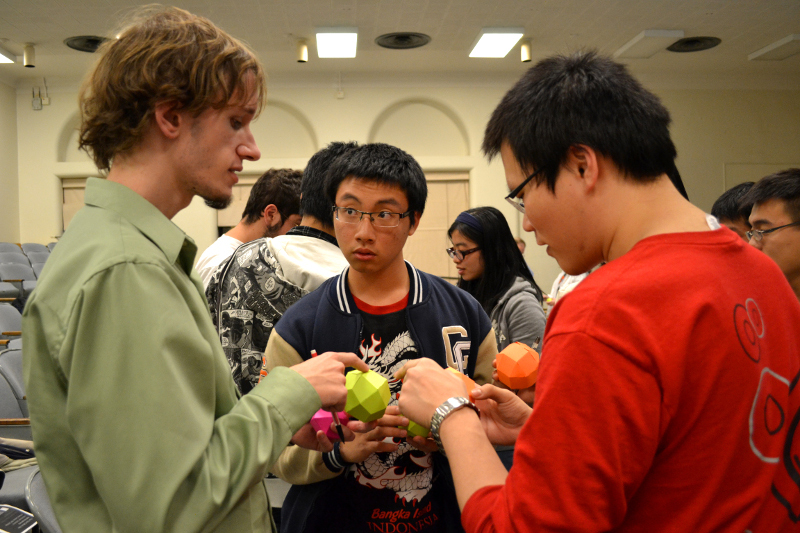 Come join Champaign-Urbana's celebration of the spirit of recreational mathematics! 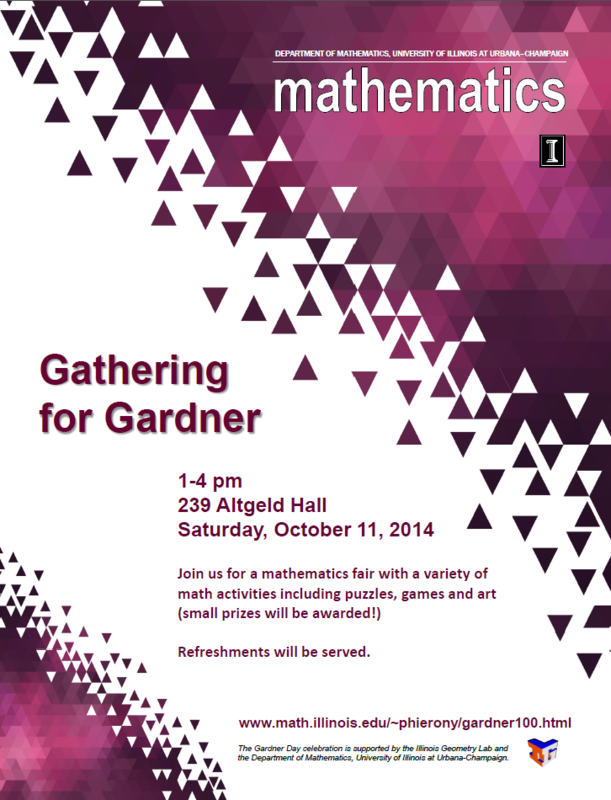 At the occasion of Gardner's 100th birthday we would like to invite you to a celebration of recreational mathematics and fun math puzzles sponsored by the Illinois Geometry Lab and Department of Mathematics at the University of Illinois at Urbana-Champaign to be held on the university's campus on Saturday October 11th of this year. Our event, a Gathering for Gardner 2014, is to honor the achievements of popular mathematics writer Martin Gardner who, for over 50 years, entertained general audiences with a rich variety of mathematical puzzles. We will have activities for members of the public of all ages. Local mathematicians and computer scientists will provide demonstrations of magic tricks, visual paradoxes and much more! Our math fair will allow hands on interaction with a large variety of Gardner's puzzles. All activities are free and open to the public. There is no math training required to enjoy! In addition to all the puzzles and hands ons activities, there will be a great 20 minutes talk given by Bruce Reznick with the title "Fun with the Stern Sequence" at 1pm in 245 Altgeld Hall. Don't know what the Stern sequence is? No problem, just click here. We would like to connect with you in the weeks leading up to this celebration with our Gathering for Gardner newsletter showcasing a mathematical activity or puzzle. Click here for the first edition. Can't wait for the Gathering for Gardner? Check out the Mathematics Library in Altgeld Hall! In preparation for this year's Gardner day the Library of the Department of Mathematics has many of books written by Martin Gardner on display. So you can start solving Gardner puzzles even before October 11th! U of I student volunteers needed! This year's Gathering for Gardner will be a little bit different than the ones in the past. For this year's event we will be bringing local High School/Middle School students to Altgeld for hand-on activities, games, puzzle, and a math models Scavenger hunt. With all these activities, we need your help. If you are interested in helping out, please contact Melinda Lanius (lanius2@illinois.edu). Also, if you have any puzzles/games that are suitable for High school and Middle school students, feel free to contact us as well. We love to hear your ideas. For more information on Martin Gardner, click here. For more information on the worldwide event, see click here. For a report on the last Gathering for Gardner at UIUC, see click here. For the poster advertising Gardner 100, see click here. 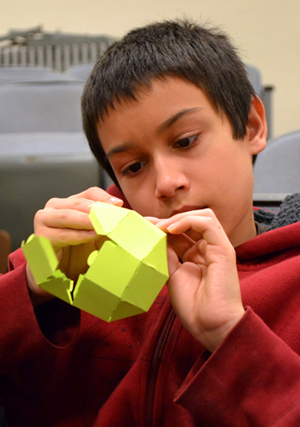 See also Vi Hart's Hexaflexagon videos promoting the Gardner day 2012!